I found these blocks tucked in a corner at the Ephesus Museum. The figure on the right looks to me like an Eques gladiator (medium round shield and short sword) although the helmet is small. 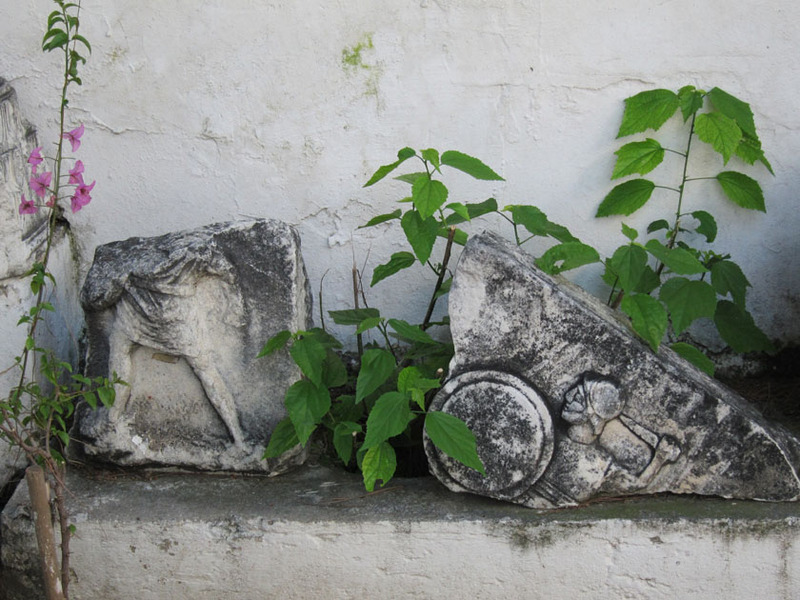 I imagine that this fragment was part of a celebrity fighter’s tomb, now broken and nestled in some overgrown plants.